Each year in Plymouth the dBs Music Audio and Music Production tutors, Stu Welsh and Leo Brown are asked to pick a student that has been shown particular interest and proficiency in using our Neve Genesys console which is housed in the dBs Music commercial studio. This year Stu and Leo have chosen two winners, Nial Martin and Tom Singer - two members of the band Tort, who recently had their new single Ruminate played on BBC Introducing. They have used the Neve Genesys mixing console to produce their new album which is nearing completion. 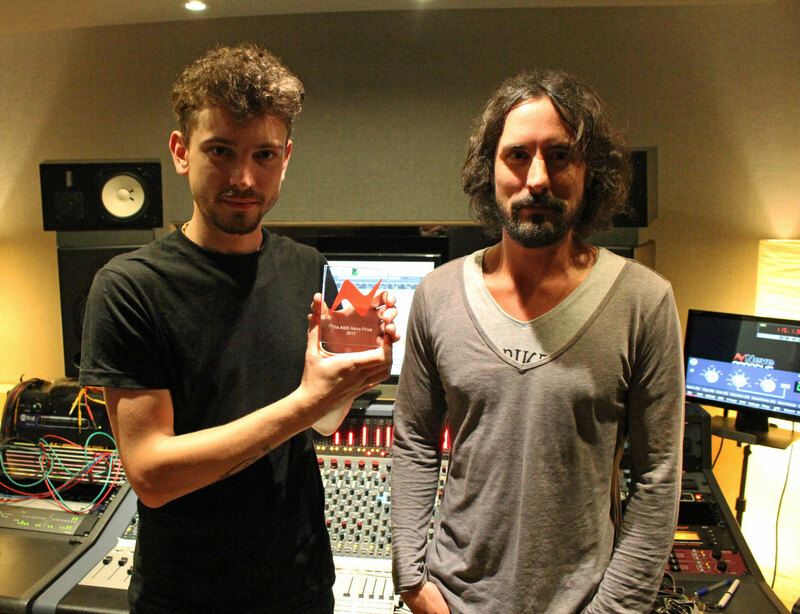 "Stu Welsh explained, "Niall and Tom were chosen for the AMS Neve Award 2017 because of their dedication to the Audio & Music Production degree course and their excellent implementation of the AMS Neve equipment to achieve outstanding results. The Neve Genesys resides in the commercial studio space at dBs Music, Plymouth. Being involved in the operation of the studio quickly led Niall to become an Assistant Engineer. When he decided to record an album with fellow Tort band member, and award winner, Tom Singer the obvious choice was to use that studio. The Neve Genesys has been a the heart of Tort's new album and we have been impressed by their knowledge and technical skills on the console, as well as the overall sonic quality of the album, we're looking forward to listening to the final release this summer." Watch this space for an upcoming interview as well as some new music from Tort and congratulations to both Nial and Tom from everyone at dBs Music. Interested in producing music or becoming a sound engineeer? Why not join dBs Music? lLearn all the skills you need in world class studios and the best music education facilities around.